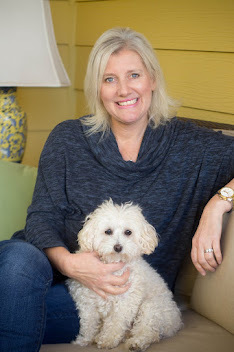 As we begin 2016 with a fresh new start, I wanted to share a few things with you that I'm glad I discovered last year. Some of these items are products that I can no longer live without, and other things are experiences where I learned something I am glad I did. 1. Califia Farms Almond Milk Creamer: This creamer has turned me into the crazy creamer lady. No, seriously. I drive all over Raleigh to get it. 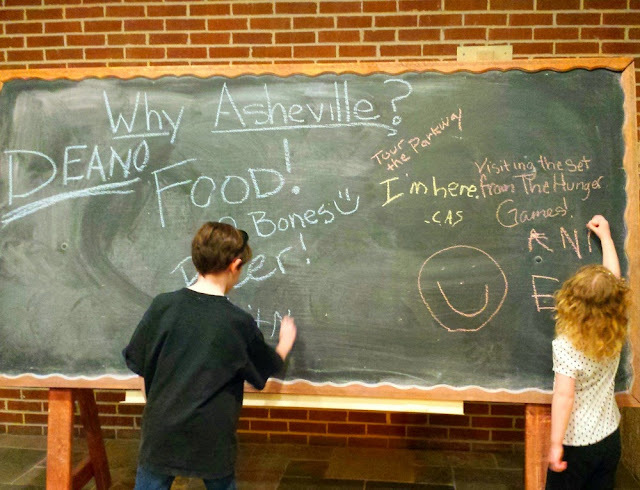 It's a relatively new product line and grocery stores are only given a certain allotment. I can only find it locally at Whole Foods. It used to be at Harris Teeter, but I can no longer find it at my nearest store. 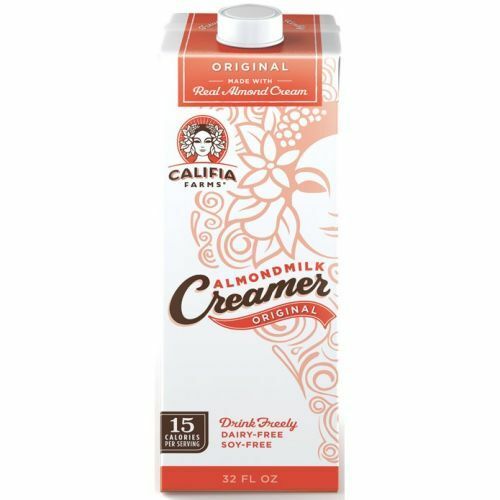 I do not do all of my grocery shopping at Whole Foods so I literally have to make extra trips there to pick up this creamer, and pray it is in stock. It is the only non-dairy creamer that I've found that rivals a half and half product with the creaminess. I am a huge fan of this creamer, and I'm seriously thinking of ordering it by the case online. 2. Cooking an Egg in a Silicone Cup: This sounds silly now that I"m saying it out loud, but I had no idea that you could cook an egg in a microwave in a silicone cup. 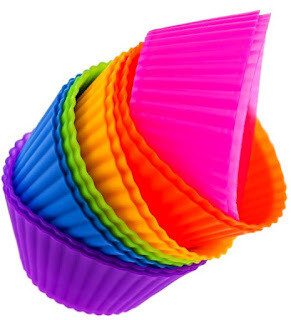 Liza received a gift for her birthday called Cook it in a Cup, by Julia Myall, a former chef in many premier San Francisco restaurants and a cooking teacher at the American Embassy in Paris. Liza loathes the smell of eggs so she is not fond of this new found knowledge that I have inquired, but Jack and I are adding eggs in our diet with ease and within 35 seconds. It is AWESOME. I love it. It has changed our breakfast routine during the school week. There are a lot of other really good recipes in the book that I've yet to try. 3. BeautyCounter TouchUp Skin Concealer: This is my absolute favorite beauty product now. I am in the process of switching all of my main cosmetics (foundation, eye shadow, blush, bronzer) to BeautyCounter.. Since I don't have the budget to order everything at once, I've been switching things out as soon as my old cosmetics runs out. 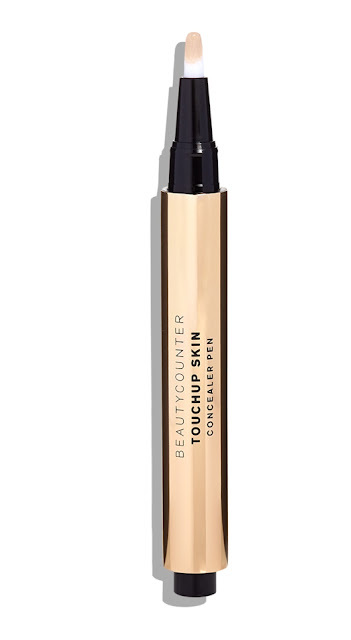 I like everything that I have bought thus far, but this TouchUp Skin Concealer is my new best friend. I'm also very excited that I'm using safe products for my skin. I'm seeing a difference. 4. 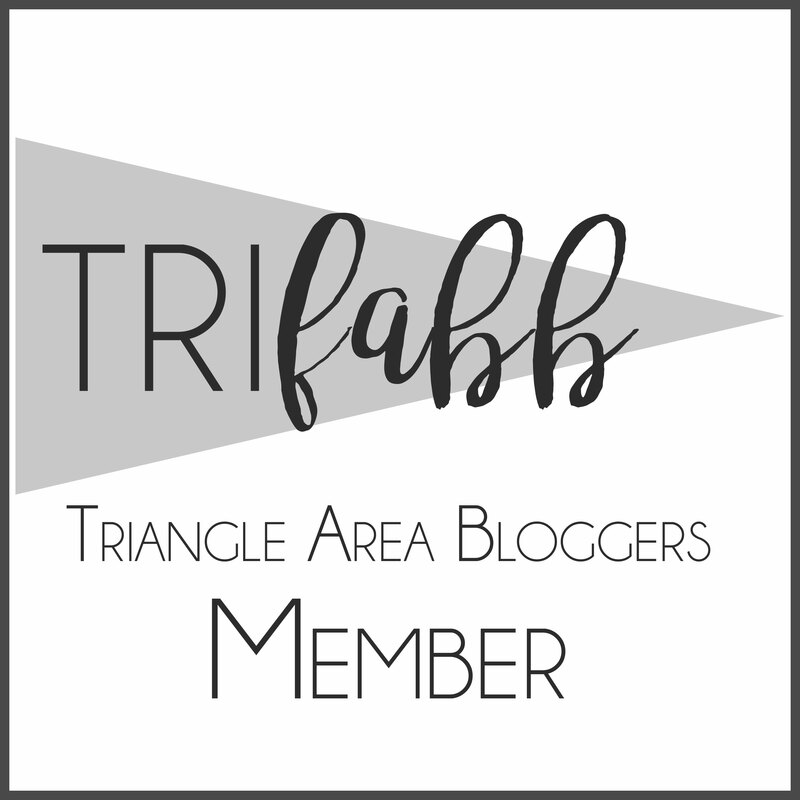 Frankincense Essential Oil: And while I am on the topic of non-toxic chemical and safe skincare, I have fallen in love with Young Living's Frankincense Essential Oil. First off, I love the smell of it. I was first introduced to it when I purchased the Young Living Essential Oil Starter Kit and a Bamboo Diffuser. 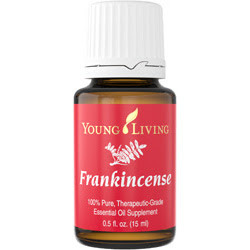 Frankincense is one of eleven oils in the starter kit. I had read that Frankincense had many benefits, but was known to combat anti-aging. I put it to the test. I used a little bit of Frankincense Oil with Pure Jojoba Oil that I purchased for less than $10 at Trader Joes. It's that simple. 5. I Clean my Own Toilets Well: For years, I've had house cleaners. But, in the fall of 2015, I said goodbye and began cleaning my own home. This is a savings of about $2,340 dollars a year. And yes, it is a chore to clean my home, but I think I do it better than anyone else. We were always complaining that things were not put back in the right place. I've also said goodbye to harsh chemicals and starting using Young Living Thieves Products, Pine Essential Oil, Lemon Essential Oil, A Trader Joes Natural Cleaning Product, Baking Soda, and Vinegar. I buy Vinegar and Baking Soda in Bulk at BJs Membership. 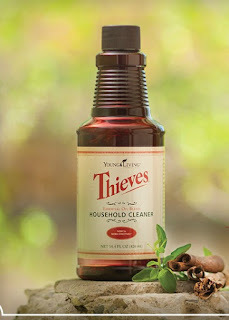 The Young Living Thieves Household Cleaner is very concentrated. I started out buying the small bottle of 14 fluid ounces and I still have half a bottle left. I began cleaning my own home when both kids started school. The cleaner lasts a very long time. For my toilets, I use baking soda, vinegar, and the Thieves cleaning spray that I made with water. If I feel as if it needs an extra boost then I will use a tiny bit of the concentrated in the toilet bowl itself. We have hard well water, but I've only done that a couple of times for extra boosting. However, I do need to find a new mop. Any recommendations? 6. I like the Grand Hyatt Hotel Brand and Club Level is Worth the Expense: I had never stayed in a Grand Hyatt before my trip to Washington, D.C. this summer. My stay there would make me seek out the brand again in other cities. I also think that the extra expense for the club level rooms is worth it. Even though alcoholic beverages are not complimentary like they are in a Ritz-Carlton brand, the beverages are priced well below market-value. Not everyone can afford a Ritz-Carlton experience, and I think the Grand Hyatt gives families some luxury and bang for their dollars. 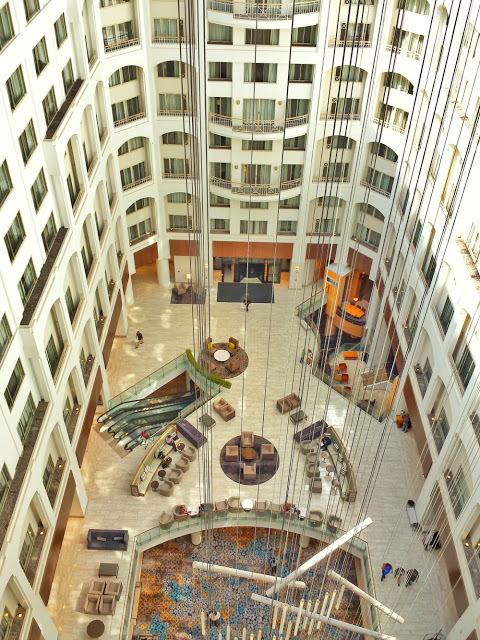 Bottom line: I certainly recommend the Grand Hyatt Washington D.C. In that city, the location of that hotel cannot be beaten. 7. 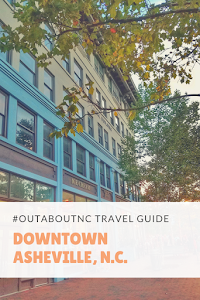 I really like Asheville, N.C. and Love Asheville Craft Beer even More: As founder of #OutaboutNC, there are a lot of places that I like in North Carolina. I think it's a wonderful place to vacation, but I am really drawn to Asheville, N.C. My son will be attending summer camp in this area in 2016 which gives me two weekends to go to this area in July and August. I'm excited to spend more time here. My absolute favorite discovery in 2015 was learning about Green Man Brewing and touring Highland Brewing Company when I was in town to do a piece on the DoubleTree Biltmore. I also love Biltmore Village because I adore the architecture. I also cannot wait to visit the new Antler Village Hotel. Beginning in February, the Biltmore will showcase a new exhibit featuring wedding gowns from films.